Dr. Ghasri, who is your Assurant dental insurance dentist in West Hollywood, is a member of a multi-specialty practice located in the heart of Sunset Plaza. Our team of dental specialists offers the full spectrum of dental care, including general, orthodontic, periodontic, endodontic, restorative, and cosmetic dentistry. Dr. Ghasri is dedicated to helping you achieve the best oral health possible and your most attractive smile ever. Routine dental care plays a crucial role in maintaining your oral health. 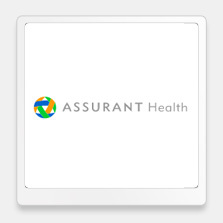 Thorough dental exams and cleanings provide your Assurant dental insurance provider in West Hollywood with valuable information about the state of your oral health. At each visit, Dr. Ghasri will check for signs of tooth decay, gum disease, oral cancer and other oral health problems. Dental X-rays can reveal signs of problems that may not be visible externally, while thorough cleanings remove dangerous plaque and tartar buildup. If you do have cavities or symptoms of gum disease, Dr. Ghasri, as your West Hollywood dental insurance provider, can offer you a number of treatment options specific to your situation and needs. We offer white fillings that are subtle and tooth colored so that you can enjoy a restoration that repairs the decayed or damaged area without the telltale dark color of a traditional metal filling. We also offer periodontal treatments for gum disease, ranging from planing and scaling, which is a deep cleaning treatment that removes plaque and tartar from below the gumline, to laser treatments and periodontal surgery. Our dentist offers many cosmetic procedures that are designed to not only increase the health of your mouth but also improve the appearance of your smile. Orthodontic options, which can straighten teeth and correct your bite, include traditional braces or Invisalign aligners. Whiten your teeth with take-home or laser whitening options, or use dental veneers or Lumineers to correct a variety of minor dental issues. As your West Hollywood Assurant dental insurance dentist, Dr. Ghasri seeks to provide high quality comprehensive dental care. We provide flexible office hours and accept a variety of insurance plans so that we can accommodate your unique needs. Contact our West Hollywood dentist today to learn more about your options or to schedule your appointment.